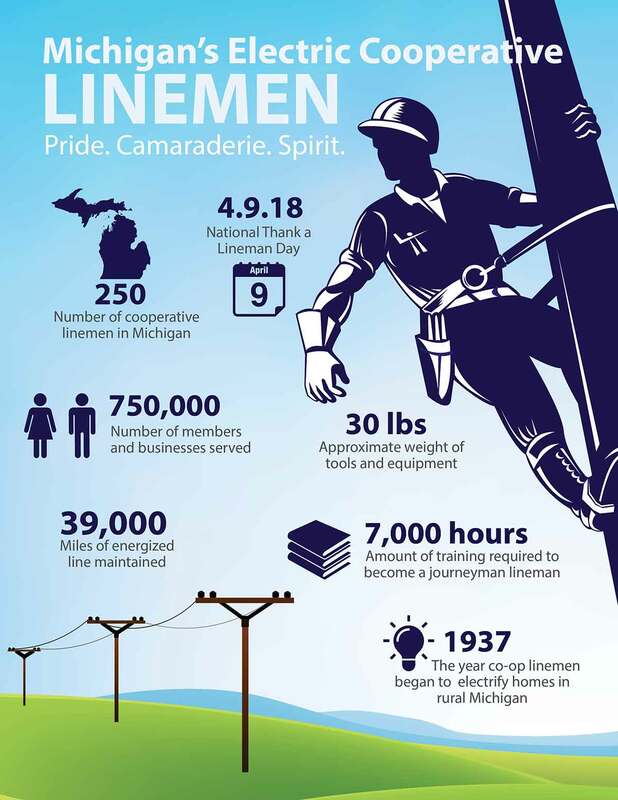 In honor of Lineworker Appreciation day, April 9, the graphic below shows Michigan’s cooperative linemen by the numbers. As the “first responders” of the electric co-op family, lineworkers perform around-the-clock duties in dangerous conditions and challenging situations to keep power flowing and protect the public’s safety. To give them a shout out, use the #thankalineman hashtag on social media on April 9.